Unique proprietary plate process ensures long life. The C-Line moss shield completely wraps around the plate lugs with a force fit to prevent mossing and shorts at the top of the cell. A corrosion proof, baked-on epoxy tray finish ensures that the C-Line will look as good as it works for the life of the battery. No other battery delivers more consistent power throughout its entire lifetime. 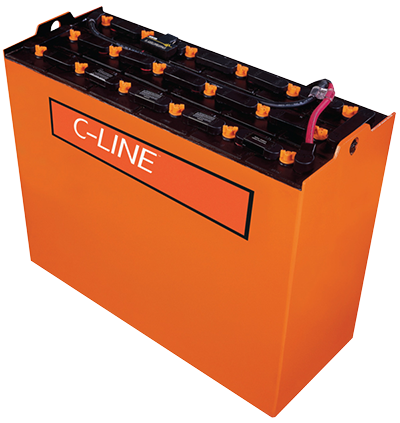 With proper care, the C-Line will hold full capacity longer than any other comparable battery. Comprehensive warranty guarantees the best return on your investment.